The Trade of Carolina is now so considerable that of late years there has sail’d from thence Annually above 200 ships … besides 3 ships of war … which had above 100 Men on Board. It appears from March 1730 to March 1731 that there sail’d rom Charles Town 207 ships … which carried … 41,957 barrels of rice about 500 Pounds Weight per barrel … besides a vast quantity of Indian corn, Pease, Beans, Beef, Pork and other salted Flesh … There were between 5(00) to 600 houses in Charles Town … most of which were very costly. Poinsett’s Tavern, 28 Elliott St. The South Carolina Society was established. Originally called the “Two-Bitt Club,” it was organized by French Huguenot artisans and forbade the use of English in the beginning. Their goal was to support indigent and widows and orphans. The met at Jacob Woolford’s Broad Street Tavern or at Poinsett’s Tavern on Elliott Street, opposite Bedon’s Alley. The Society was incorporated by the Provincial General Assembly as the French Society on May 1, 1751, and King George II confirmed it at the Court of St. James on December 20, 1752. 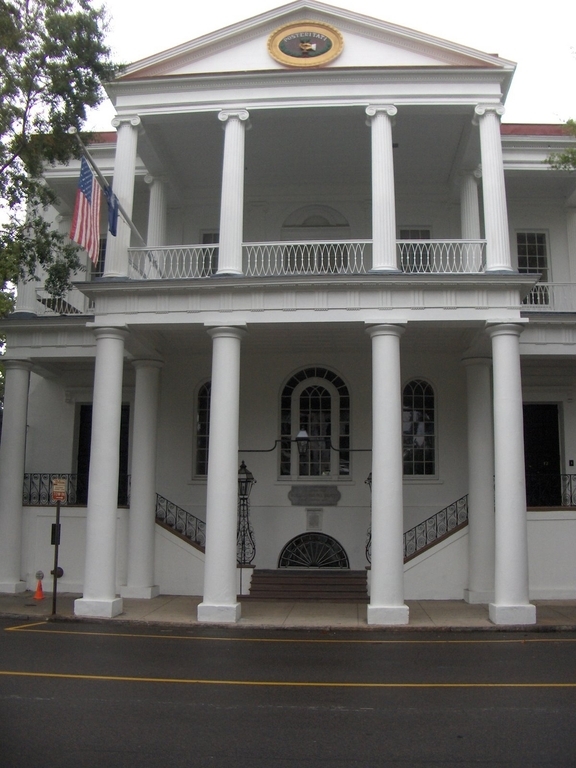 Soon afterward, the name was changed to the South Carolina Society and began including non-French members. The Society purchased a block of land between George and Wentworth streets, cut a new street through it (the present Society Street), and built a school for orphan boys. Society Hall, 72 Meeting St. 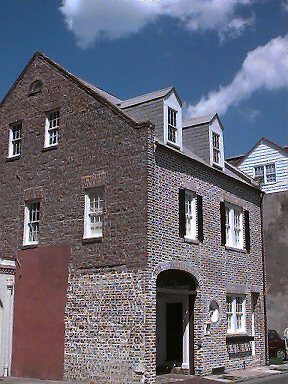 In 1804, the Society built the South Carolina Society Hall at 72 Meeting Street as a school for female orphans and indigents, and as a meeting place. The first floor was used to school orphans and indigents, while the second floor was a ballroom for social purposes. This entry was posted in Black History, History - American, History - Charleston, History - South Carolina, Today In Charleston History, Today In History. Bookmark the permalink. Mr. Jones, do you know where on Society St. the school for orphan boys was located? I lived on Society for many years ,until 1985, so I’m particularly interested in knowing. Also, thank you so very much for your posts. I greatly enjoy reading them and learning so much about my hometown. Annette, all I know is that for many years (1880s-1940s) 49-51 Society Street was owned by the Catholic Diocese and they ran St. Peter’s School. And of course, 55 Society was the High School of Charleston from 1842-1881. I’m glad you enjoy the postings.